Designed and machined to fit into steel box section with an internal dimension of 50mm x 50mm. Our stub axles incorporate a 12mm threaded hole for a retaining bolt and they are supplied complete with washers and split pins. 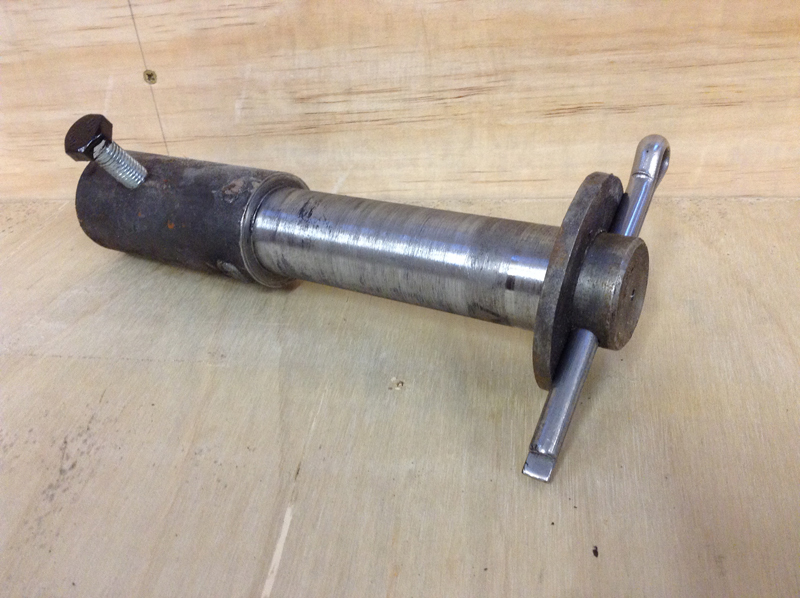 The price of a stub axle is the same whether it is to fit our 20”, 24” or 32” wheels. When stub axles are supplied with wheels, the internal bore of the wheel is fettled and the stub axle machined for a snug fit, thus eliminating wobble, particularly important when the inside rim of the wheel is close to your hut walls. If there is a jointing seam inside your box section, you may need to grind a groove along the length of the stub so that it slides into the box section without obstruction. Our stub axles are made from mild steel and are fully paintable. Please note that the price includes fettling the wheel bores! Please state clearly whether you require stub axles for 20”, 24” or 32” diameter wheels.